With the upcoming addition to our already-vast selection of inventory, we’re excited to announce that we’ll be turning ten lucky TripActions customers into astronauts. That’s right — in 2020, we’ll officially unveil TripX, our very own rocketship that will ferry our chosen winners to the moon and back, literally. 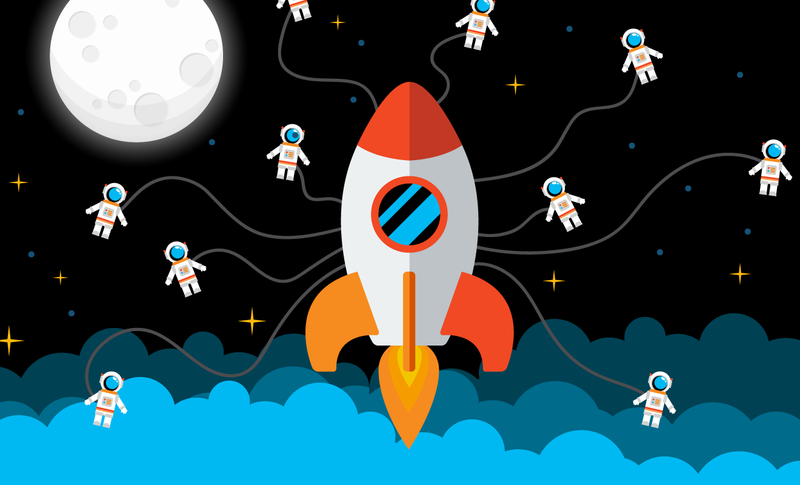 When envisioning and building innovative products, the TripActions team is always shooting for the stars. And this time, with TripX, we’re bringing 10 lucky customers along for the astronomical journey of a lifetime. April Fools! As much as we’d love to be planning for our first business trip to the moon, we are just kidding on this one. You might be tricked a few times today, but one thing’s not a prank: TripActions has a customer satisfaction rate higher than 90%. Thanks to the power of our custom-built support tools, the convenience of our chat-based solution, and our team’s amazing dedication, we are able to work with our travelers with urgency and efficiency. Learn how we make business travel so easy, it should be a joke (but it’s not! ).